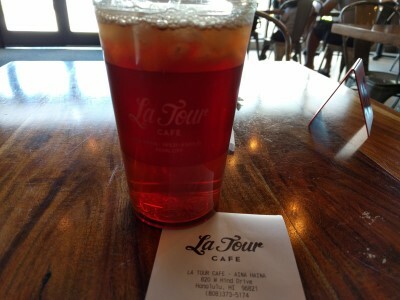 On the day we took a scenic drive along the east coast of Oahu, we happened upon a tasty lunch spot while we were looking for another place: La Tour Cafe. 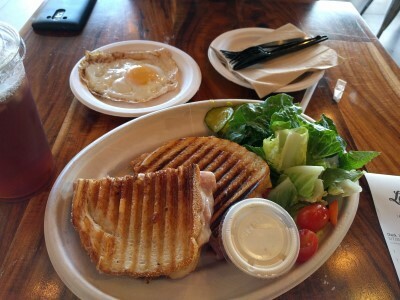 According to their site, they are a family owned, locally operated restaurant offering fresh, quality fare in a comfortable fast-casual environment. Kouign Amann. I had heard of these, but never tried one. We ate it a few hours later while gazing at a beach and the ocean. Yum! I am going to start searching for these in Pittsburgh (Gaby et Jules? La Gourmandine?). If you're doing this scenic drive, or at Diamond Head, this is a good lunch place (the location at Aina Haina Shopping Center).